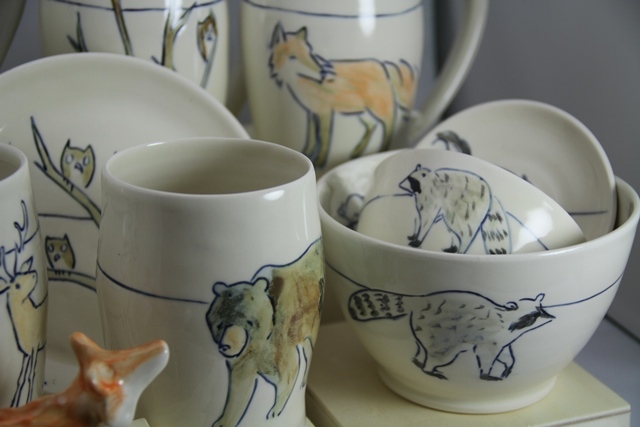 Arundel Studios Pottery is owner run and operated by Bronwyn Arundel out of her studio in Nanaimo, BC. 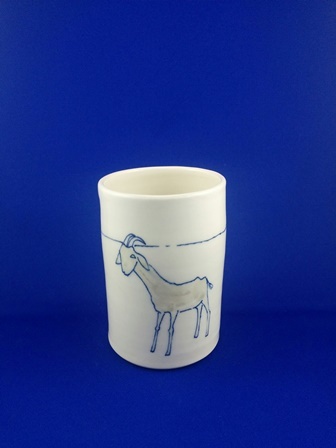 All of her pottery is hand thrown on the wheel in medium fire white porcelain into light and simple shapes; Decorated with drawings of animals and people. The pieces are colored using under glazes and over glazes dipped in a clear coat providing soft tones and depth to the images. The pottery is food safe, dishwasher and microwaveable, making them very functional as well as unique Art items.